Tat's Heaven: Poppies and a Winner! As promised I can now announce the winner of the giveaway from the last blog post. But before I do, thank you so much for the wonderful memories that you shared, all of them were really so touching and personal and just made me think that these little gems from our lives make us who we are. is mb duke, please can you send me your address to popabobbinshuttle@gmail.com and congratulations! Today is Remembrance Day when at the eleventh hour on the eleventh day of the eleventh month the armistice was signed in 1918 to end the Great War. 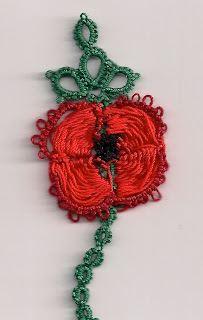 I made this poppy four years ago, it was my first and last attempt at this technique which Martha so kindly shared, perhaps it needs revisiting. 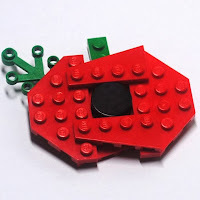 Here is the one that my son made, no he is not a child but now aged 37 years old! I will never forget Remembrance Day this year as I moved into another part of the church building today where there is now a new Parish Office. Well have not actually completed the move but the computer and main bits of equipment are now in there. In fact it was really hectic this morning, one of the pre-school helpers was dressed as Luke Skywalker, an electrician was sorting out the odd bits left from the recent building work. The Vicar and I were trying to move office equipment and another person was sorting out the computer etc so it was a manic and crazy morning! congratulations on your new office. I hope it is more then a broom closet. I know how church offices can be. Congrats to mb duke as well. Well I have rather downsized so that the room I was in can be used as a very small meeting room, which probably says it all! I hope you get everything sorted and your office is a bit bigger than a broom hole. creative son, you have! 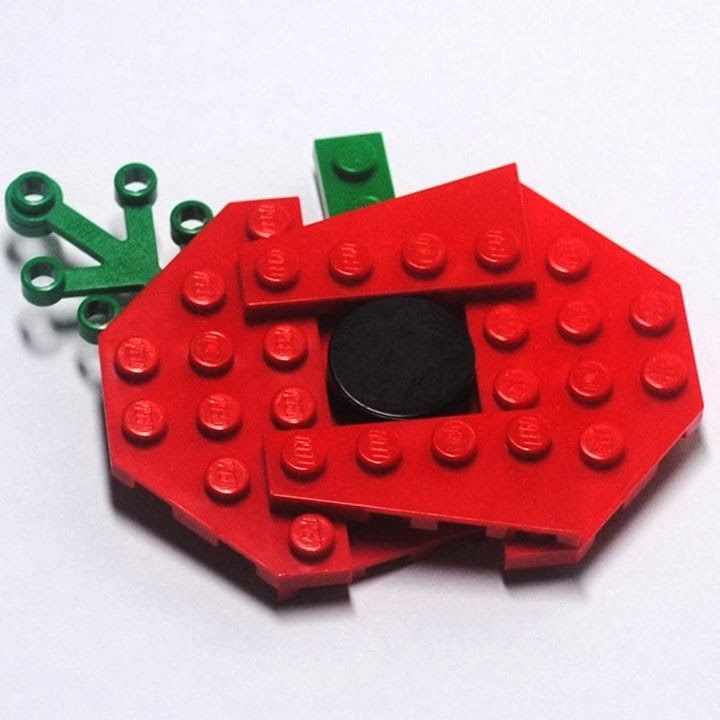 - I love the Lego poppy. Congratulations to the winner, and enjoy your new office.